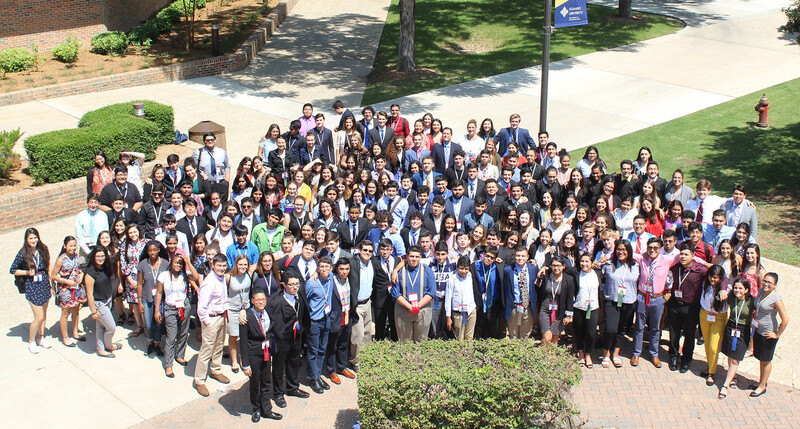 It was a bold move for the National Hispanic Institute to take the 2018 Texas LDZ program — long associated with Austin — and move it to San Antonio. But the bold move led to a once-in-a-lifetime experience for close to 200 students, primarily from Texas, but also including students from Mexico and Puerto Rico, who participated in one of NHI’s flagship programs at St. Mary’s University in the midst of San Antonio’s tricentennial year. The 2018 Texas LDZ, in addition to being transformative for students attending the program, captured the attention of the San Antonio Express-News. The paper wrote a feature on the program, quoting co-educational directors George Rodriguez and Michelle Saenz-Rodriguez as well as several of the participating students about the experience. Saenz-Rodriguez had a particularly important quote about the transformative nature of the week-long LDZ program, saying, “The kid that comes in on Sunday, if we are successful, is not the kid who leaves here the following Sunday,” Saenz-Rodriguez said. A great deal of the 2018 Texas LDZ’s success came from the new partnership. The LDZ, short for Lorenzo de Zavala Youth Legislative Session, named for the first Vice President of the Republic of Texas, started in Texas in 1983, and has been a mainstay of NHI’s mission since.